Are you thinking about participating in the Summer Shape Up Challenge? You should! What are we doing you ask? We are following the Whole30 Program for five weeks. We are also focusing on practicing other healthy habits like drinking more water, sleeping more and spending time with family away from distractions. During the challenge you will be following along with a calendar to earn points for following Whole30 as well as practicing these health habits. You can find the full deets HERE on the challenge. Attached are some helpful documents on how to be successful on the Whole30 Program. AVOID: sugar (real or artificial), alcohol, legumes (beans and peanuts), grains, dairy, process foods. Why avoid these??? This is not to rob you of your joy in life. These are the most common inflammatory foods that MAY create issues for people. Removing them for a time period and then reintroducing them helps empower you to make better food choices for yourself in the future. I know what many of you are thinking….You want me to go five weeks with out (fill in the blank)??? For most people the blank is alcohol, sugar, coffee creamer, and or bread. First, let me share some wise words from Mary Shenoouda (Paleochef)…”the first sign of disease is actually not caring about what you eat. 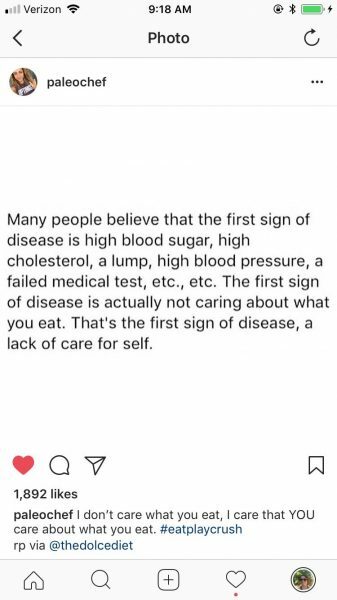 That’s the first sign of disease, a lack of care for self.” Whoa…major truth bomb there. If you are a member at FitWit then you are already showing that you care about your health. You are showing care for self by doing that mobility work, strengthening your muscles and conditioning your body for everyday movement. However, this care for self needs to carry outside of the gym as well and even go all the way to your dinner plate. Start showing some more self love by caring about what you stock up in your pantry and fridge. Are the foods you are eating helping you feel your best? OR are they making you feel bloated, tired, hungry all the time? The Summer Shape Up Challenge is not necessarily about losing weight (though that may be an outcome for some). The challenge is about finding foods that make you feel your best and to start practicing self care by consciously choosing what you are fueling your body with on a regular basis. So with all that being said, I hope you will consider joining us in this challenge. And in those moments of “how can I go another day without wine?? ?” just think you are doing it in solidarity with me, Coach Maddie, who has to wait an entire nine months before my next glass.